Two new tri-deck concepts by Giovanni Ceccareli have been added to the fleet of Rosetti Superyachts. 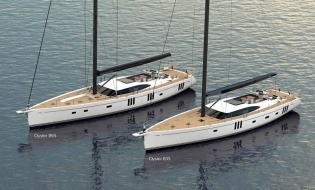 The two projects have been developed in collaboration with Giovanni Ceccarelli, a yacht designer with long experience particularly in the field of sailboat design. His many notable achievements include roles as chief designer of Mascalzone Latino, the 2003 America’s Cup contender, and +39 Challenge that competed in the 2007 Louis Vuitton Cup. A life-long sailor, Ceccarelli loves to start from scratch with a hand sketch when he begins a new design for a shipyard or owner. 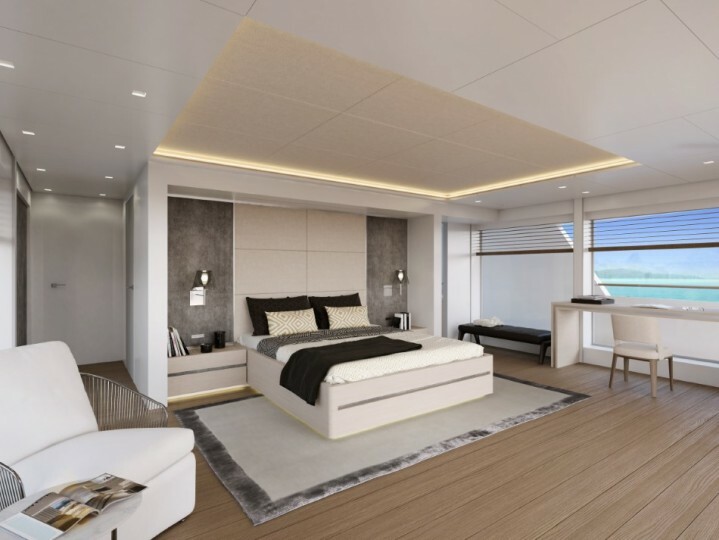 The 35-metre concept has an 8.25-metre beam with space on the main deck aft for stowing a tender with accompanying crane and a 6.7 sq/m infinity pool. Alternatively, with the pool covered there is room for a mini submarine in addition to the tender. 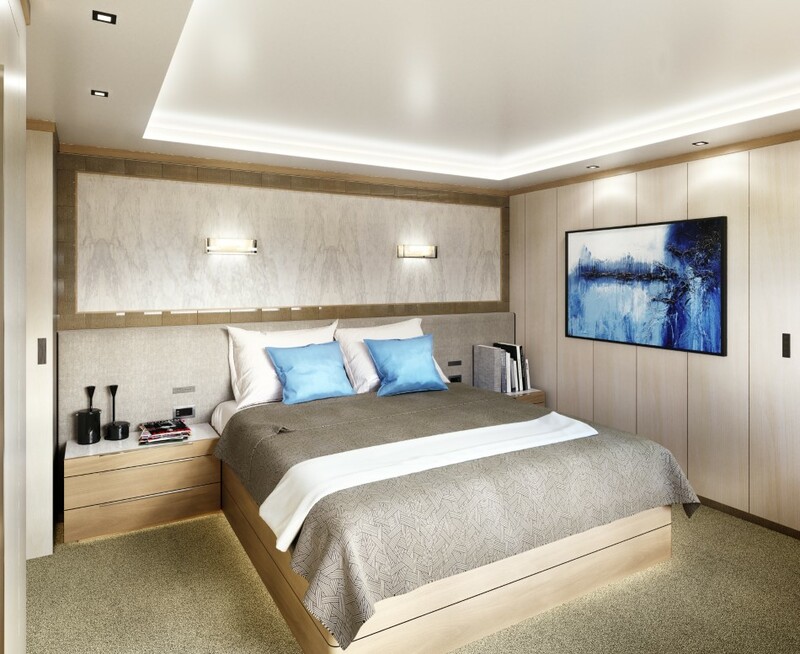 Inside, there is a spacious main salon with dining area and forward galley that can be directly accessed from the crew quarters. Below deck, four ensuite cabins provide comfortable accommodation for 8 guests. The upper deck is dedicated to the owner’s use with the master stateroom, bathroom and walk-in wardrobe located aft to provide wide vistas of the sea over the private terrace. 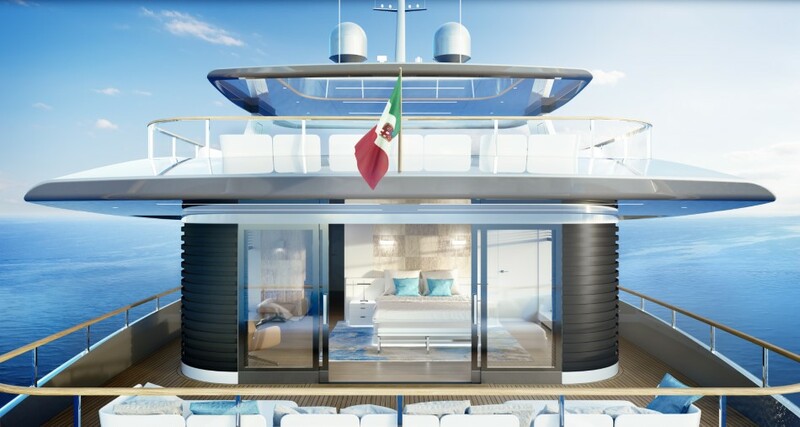 The 50-metre concept has a beam of nearly 10 metres, which offers even more interesting layout solutions. The main deck, for example, is arranged on two levels and covers a total area of 170 sq/m, including a 13 sq/m infinity pool and expansive beach club. The pool is heated so it can still be enjoyed as a hot tub in colder climates. Alternatively, the space can be used to carry various toys or a mini submarine for underwater exploration. The tender is housed inside a dedicated garage. Both designs have a gross tonnage below the 500GT threshold and are powered by twin MAN main engines (1,000hp and 1,400hp each for the 35-metre and 50-metre respectively) that combine comfort and efficient performance at displacement speeds.